West Point cadets conducting field training. U.S. Army photo by William C. Bunce/ West Point DPTMS VI. 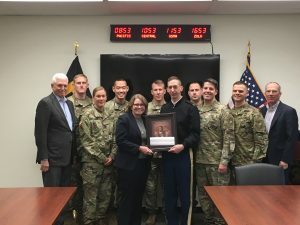 A Fordham GSE/United States Military Academy educational partnership, that began as a planned five-year endeavor in 2016, has been so successful thus far that the program is expected to endure well into the future. Select USMA military science instructors enroll in classes each year at the GSE’s Lincoln Center campus to earn a Master of Science in Education in Curriculum and Teaching. The military instructors, tapped from among the most skilled and experienced in their field, are learning the best ways to share their knowledge with the next generation of Army leaders by using the most up-to-date, effective classroom teaching methods. 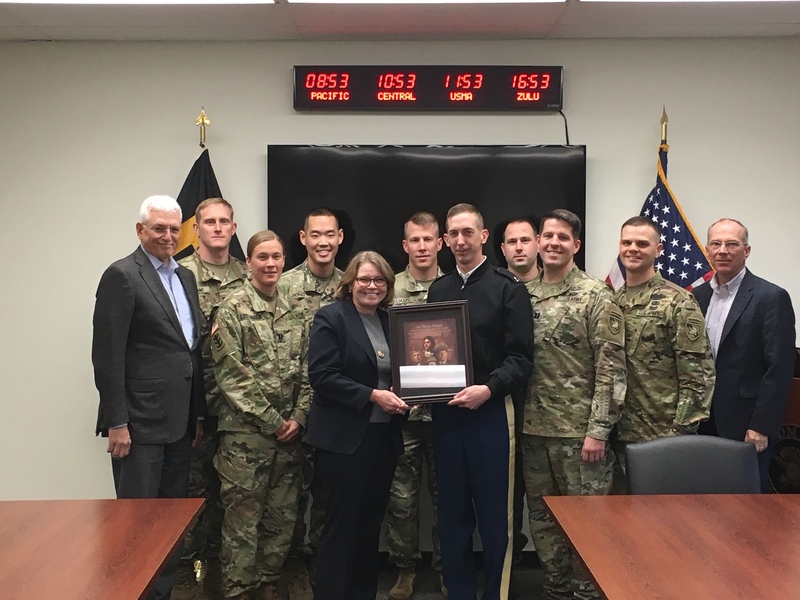 GSE Dean Virginia Roach, Associate Dean Anthony Cavanna, and Associate Professor John Craven visited the USMA at West Point this fall to see first-hand how the inaugural cohort of GSE-trained instructors are doing in their classroom settings. Following the classroom visits, the combined Fordham/USMA group held a roundtable discussion. The Fordham GSE team was then given a West Point Simulations Center Tour and Demonstration, to further understand how cadets receive training for combat. L-R: GSE Associate Dean Anthony Cavanna, Captains Trey Miranne, Alexandra Lostetter, and Jason Hong; GSE Dean Virginia Roach; Captains Jeremy Williams, Robert Davis, David Jacobs, Colin Brodmerkel, and John Goodwill; GSE Associate Professor John Craven. Beginning this spring, the GSE Military Instructor students will conduct credited and sponsored fieldwork and observations at the Academy to ensure they are even better prepared to step into the classroom on day one.